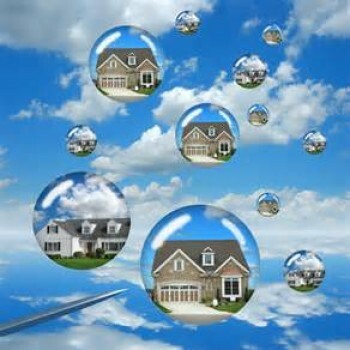 The real estate industry remains afflicted since the burst of the 2005-2006 housing bubble – but not on paper. In 2016, the affliction is fear. As property prices continue to rise by leaps and bounds, consumers, lenders, realtors, title companies – indeed the country at large – can be forgiven for being wary. According to CoreLogic’s Home Price Index (HPI), home prices have risen by 40% over the last four years. Given the precipitous rise and fall of the housing market ten years ago, new gains are now taken with a grain of salt. Everyone is looking for signs of a bubble and hedging their bets. So we are stuck with two maxims: “those who don’t know their history are doomed to repeat it,” and “past performance is not an indicator of future results.” Both are true. But when it comes to the housing market, only a look at the current fundamentals can tell us which deserves more credence. According to economist and Nobel Laureate Joseph Stieglitz, a bubble exists when the price of a commodity is high today because investors think that it will be high tomorrow. On the other hand, if the fundamentals driving the price upward support higher valuation, then it is not a bubble. The best fundamental to look at in the housing market is the relationships between home prices and income. Looking at this metric, we are about where we were in 2003, meaning there is good reason for caution, but also good reason to be optimistic. Vanguard Title protects customers from real property title defects and forgeries by providing accurate real estate data, quality escrow services, and insurance against losses. Contact us today at either of our locations – Auburn Hills (248) 751-1000, or Brighton (810) 225-8461.